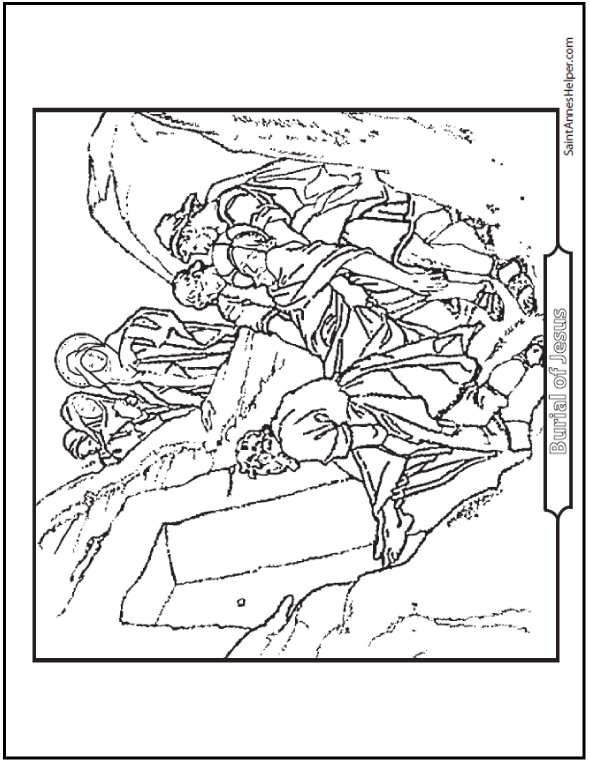 This burial of Jesus coloring page shows Joseph of Arimathea, Nicodemus, and the disciples carrying Jesus to the crypt. This is the Fourteenth Station of the Cross. This PDF prints 8.5x11" single sided. Mary watches as Joseph, Nicodemus, and the disciples carry Jesus to the grave.